This website is for the Northeast Region of The Evangelical Theological Society – a professional, academic society of biblical scholars, teachers, pastors, students, and others involved in evangelical scholarship. We serve Jesus Christ and His church by fostering conservative, evangelical biblical scholarship. 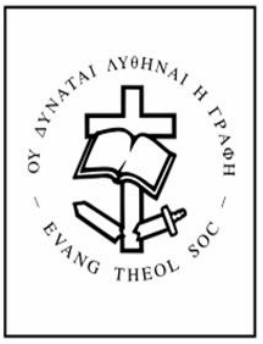 Founded in 1949, the Evangelical Theological Society (ETS) is dedicated to the oral exchange and written expression of theological thought and research, while devoted to the inerrancy and inspiration of the Scriptures and the gospel of Jesus Christ. Our doctrinal basis is simply and clearly stated: "The Bible alone, and the Bible in its entirety, is the Word of God written and is therefore inerrant in the autographs. God is a Trinity, Father, Son, and Holy Spirit, each an uncreated person, one in essence, equal in power and glory." The Society publishes a quarterly journal, the Journal of the Evangelical Theological Society (JETS), an academic periodical featuring peer reviewed articles, as well as extended book reviews, in the biblical and theological disciplines. To learn more about the national Society, other regions, or theJournal of the Evangelical Theological Society, visit the national ETS site.